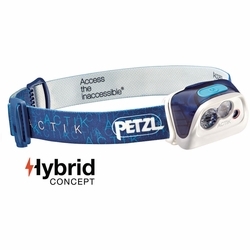 Petzl Actik Headlamp. Compact multi-beam headlamp with red lighting, designed for outdoor activities. 300 lumens.